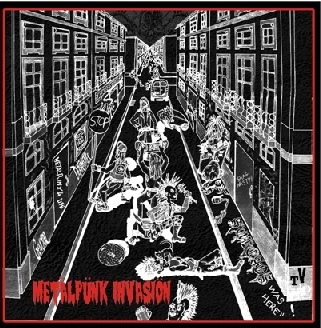 New recorded songs "Armies of the Night" and "Metalpunx 4 life" by one of the oldest Crust/Metalpunk bands from Portugal. SUBCAOS started in 1991, back in the day they recorded splits with such underground legends as Genital Deformities, Hiatus and Battle of Disarm, toured Europe and released two full Eps in 1994 and 2003, plus several compilation appearances throughout the years. Unmissable for those into bands like Kuro, Gism, English Dogs, Amebix, Sacrilege, Onslaught, etc. GENITAL DEFORMITIES are back! Newly reformed and ready to deliver two monster Crusty Punk-Metal songs for this split to celebrate 15 years since both bands released their split CD back in 1994.